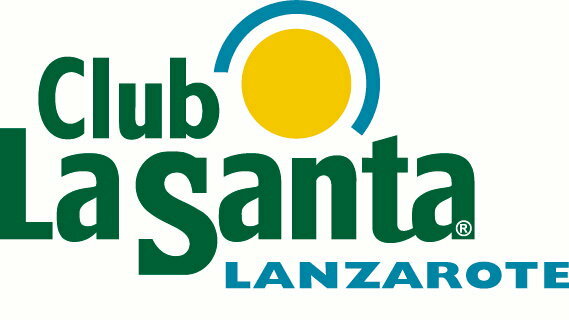 So as you may have already read I recently announced Club La Santa, Europe’s leading sports resort, as my new sponsors for 2011/2012 beyond. So what does this mean? Of course I am not going to go into the specifics, as is the case with any sponsorship agreement, but I am happy to tell you a little more about Club La Santa as a resort and how we plan to collaborate. Firstly Club La Santa is Europes leading sports resort situated on the island of Lanzarote. Lanzarote is one of many Spanish Canary Islands which lie in the Atlantic Ocean approximately 100km off the coast of Morocco. Due to its location it experiences good weather all year round, of course you can get the odd one or two weeks that is wet and windy but temperatures very rarely drop below 15 degrees during its cold periods. However the wind is ever present. For many, myself included, Club La Santa is regarded as a triathletes playground. It has everything a triathlete needs 8 lane 50m pool, 6 lane running track, fitness centre, massage therapists, physio therapists, bike centre for hire and repair of bikes, open water swimming facilites, weekly running, triathlon and duathlon events plus more all of which is contained within the resort. Step outside the resort and the cycle routes are some of the best, tough but good. Good mountain climbs, good road surfaces and more importantly the traffic is cyclist friendly. Coastal trails allow for endless running with nothing but a few rocks seperating you from the Atlantic Ocean. All in all I can not not talk highly enough of Club La Santa. So why have I partnered with Club La Santa and what does it mean? With 2012 being my most important year to date for obvious reasons it made perfect sense to return to Lanzarote during the coming winter. Followers of my blog will be aware that I spent the winter leading into 2011 based on Lanzarote. I entered my 2011 race year extremely strong and conditioned. So why not repeat what has worked for me in the past? The partnership will see me situated on Club La Santa from November 2011 – March 2012. This not only allows me to escape the European winters but also have an opportunity to train with some of the best in the sport. Club La Santa is regular training ground for 2011 ITU World Champion Helen Jenkins and many of her British colleagues. Also the French National team make it their home for several weeks in the winter along with many of the Germans, Spanish triathletes. This making my training experience a lot more interactive. While down on Club La Santa I will also be interacting with the guests of the resort. When it fits I will be inviting guests to join some of my non-specific sessions e.g. long rides, easy runs etc. Along with this we are looking into the possibility of putting my Human Nutrition degree into good use by offering nutritional lectures/services for clients but I can not confirm this at this point. This will allow me to give something back to the resort that is backing me so much on my journey to London 2012 Olympics. There are many ideas in the pipeline and I am extremely excited about this new partnership with Club La Santa. I look forward to seeing many of you over the winter and calling you my training buddies 🙂 Should you be interested in visiting Club La Santa, Lanzarote for the first time and want inside information on local routes etc. Please feel free to contact me via my website www.hellefrederiksen.com. Keep an eye out for HF Triathlon training camps being run on Club La Santa in the near future.